I’m very fortunate to have a wonderful butcher on my doorstep, who I count as a friend, Steve and Joyce Greenslade at Pitmans Farm, produce some stunning rare breed meats, including the recently awarded Taste of The West Gold for their Devon Rose Veal. They hold Butchery and Pig Keeping courses, and I have been able to spend time with Steve learning butchery skills, he’s a true star who is able to share the inner secrets of butchery, and how to get the best out of each cut, he is a true mine of information, but has a great way to make you feel relaxed. 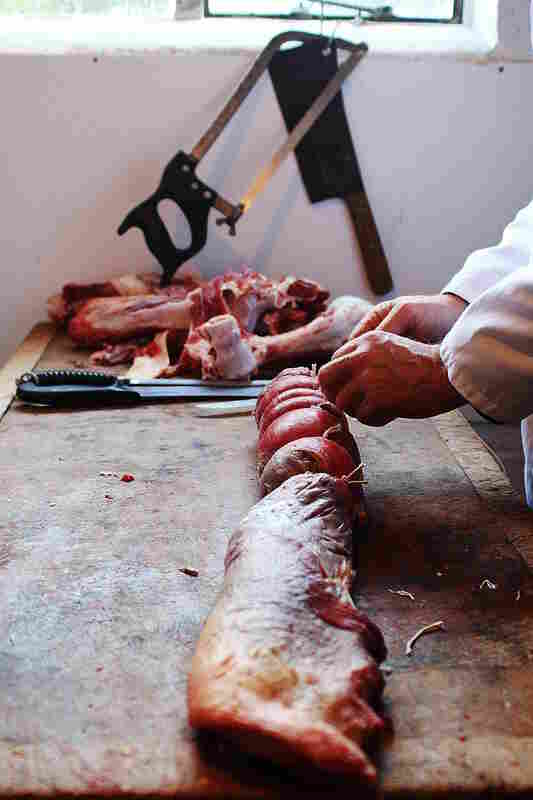 A course would make an ideal present for someone wanting to learn traditional artisan butchery skills.